The Highwaymen traveled the world performing country music to millions of fans. Willie Nelson, Waylon Jennings & Johnny Cash were perhaps the greatest country music super group in history. 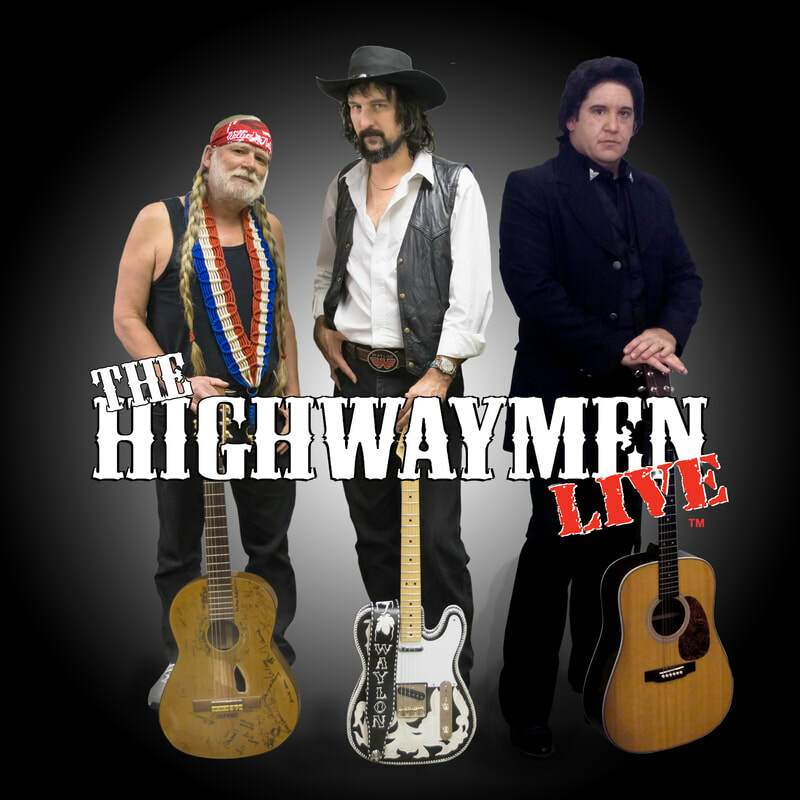 Backed by their live country band, these three talented performers will take you back in time with hits such as "Whisky River", "I Walked The Line", "Get Rhythm", "Ring Of Fire", and "Good Hearted Woman". These are just a few. This show is classic country! The look and sound is one more chance to see these songs performed as original as it can get. What about, "Always On My Mind" and "A Boy Named Sue"? There are so many great tunes! Join us for this great entertainment opportunity!